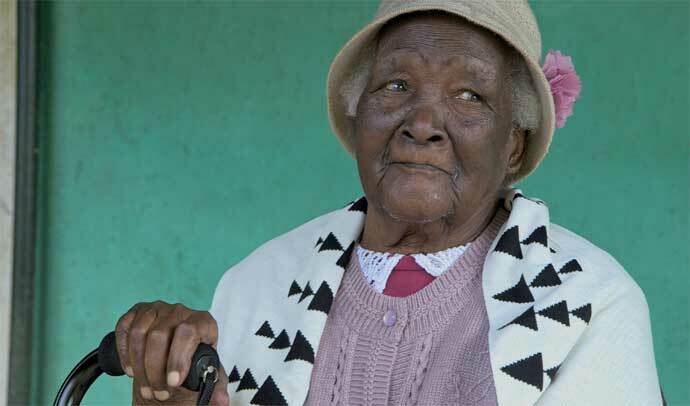 Elizabeth Gathoni Koinange, 117, has lived through both world wars, the colonisation of Kenya and its independence. The classroom went silent and all eyes were on me. “How is that even possible?” I was asked by a classmate. Honestly, if you would have told me back then that I would be travelling to celebrate her 117th birthday, I would have asked the same question. But, 14 years later, we celebrated my great grandmother’s 117th birthday. Ever since I was a little girl, I’ve been bursting to share the story of my great grandmother, Elizabeth Gathoni Koinange. She is known to be one of the oldest living people in the world and has lived through both world wars, the colonisation of Kenya and its independence. 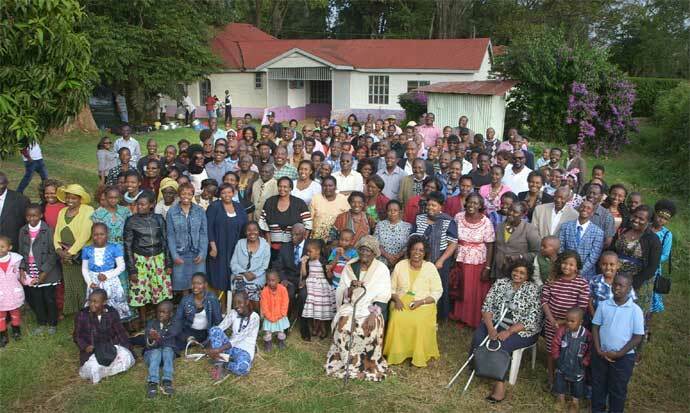 She is greatly admired in Kenya because she was the fifth wife of Senior Chief Koinange Wa Mbiyu, who played a great role in Kenya’s independence. I was raised in London, but my African – specifically Kenyan – roots have always been a huge part of who I am. I’d find myself frustrated seeing images of Africa in the media being of starvation, famine and corruption, but at the BBC, we’re changing that. Even though these stories are relevant, so are the positive stories from the continent. Africa is a big and diverse continent; each country bursting with stories to be told and each of them unique and important in their own right. I wanted to tell these stories to the world. The journey began when I was doing an internship at the BBC. One of my senior colleagues advised me to attend a meeting about Creative Challenge – an annual competition within the BBC, where employees of any discipline at any level can pitch story ideas. That meeting was full of people listening to the commissioning editor announce the 2017 Creative Challenge theme... "Life Stories". It was just then that a light bulb went off in my head: "Life at 117". I was excited to tell the story of my great grandmother who has lived far past the average life expectancy. It’s not often the gap between young and old is bridged, and not often do you get stories that connect millennials with older citizens, especially in Africa. This story was not just the celebration of a long life, but also of the forgotten history of the struggle and liberation of Kenya, and those who fought in it. That is what makes this story special. If there’s one thing that the whole world has in common, it is the stages of life – childhood, marriage, parenthood, work and old age. Even though it’s a commonality for most of us across the globe, just imagine how unique and unmatchable those five stages in life must be for every person in each generation. My life has been completely different to my great grandmothers at my age. At age 23, my grandmother had been working on her father’s farm in Kenya having had no formal education. I, on the other hand, have graduated from university and am now a journalist in London. When I found out that my story pitch had won the Creative Challenge, I was thrilled and soon began to plan the documentary. I researched into my family history and discovered stories I had never known. When I told my great grandmother I wanted to do a documentary about her life, she was ecstatic. She always says that the world has left elderly people behind but she was delighted to learn that the BBC News teams would be with her to celebrate her 117th birthday. I flew to Kenya, to my ancestral home, to film the documentary for BBC World News and BBC World Service. My family were excited to welcome the crew into their home, to be able to tell my grandmother’s story – about life at 117 – to global audiences. She’s excited that people in places as far away and as culturally different as Japan and Brazil will be able to watch her story. Everyone agrees my grandmother is a phenomenal woman. From her strength to her love and faith for the family, she has always taught me to stay focused and pursue my dreams. To love all and to forgive. And for this, my great grandmother will always be my hero. She is simply inspiring and has had a unique life that is going to capture the attention of the world. The writer is a freelance broadcast journalist.